Pain and suffering is a legal term defined as the physical and/or emotional stress caused by an injury accident. It also is one of the most difficult areas for an attorney to properly value as there truly is no monetary value great enough when you have been seriously injured in an accident. We will take the time to consider the specifics of your case and work with you for a favorable outcome. Loss of consortium falls under pain and suffering, typically for the spouse of a person involved in a traumatic accident. It enables your spouse to recover for loss of companionship, care, sexual intimacy and comfort that has been altered from your previous ability to provide. 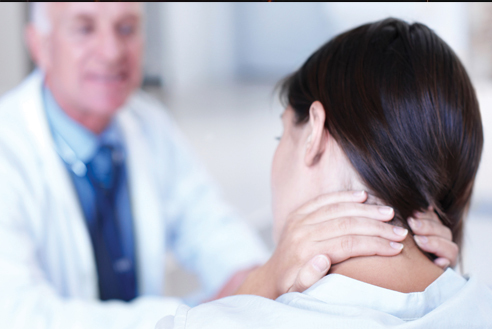 This type of pain and suffering claim is usually seen in cases where a person’s injuries are severe enough that extensive surgery and/or rehabilitation time is required. Emotional trauma may also present itself as depression, suicidal thoughts, low self-esteem or feelings of guilt. Changes in lifestyle you should be aware of include disruption within your family, declining work performance, loss of employment or substance abuse. If you are experiencing emotional or physical stress following an accident that you didn’t cause, you can contact Attorney Cary Ray Lundberg at Mohave Law, PLLC, now, to discuss your case details and potential legal actions available to you. Call us anytime, at (928) 263-2026.